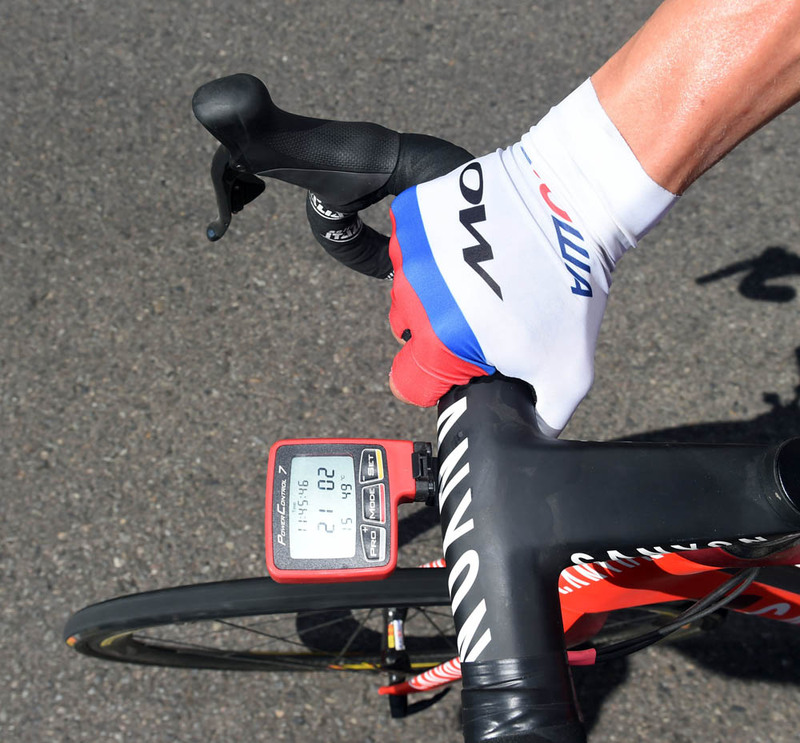 Today’s Tour of Oman stage, scheduled to be 151.5 kilometres from Al Sawadi Beach to the country’s Ministry of Housing was shortened, shortened again and then entirely neutralised because of safety concerns. A sandstorm at the start blew over race advertising boards and crowd control barriers. Winds reached an estimated 70km/h. Race organisers Paumer – co-run by Eddy Merckx – and ASO, along with team managers, made the decision to shorten the race to 95 kilometres, taking in the planned three laps of a finishing circuit. However, upon arrival there, the sandstorm had cleared to leave temperatures above 40°C. In the opening kilometres of racing, many punctured because of the warm tarmac. Riders eventually stopped racing, taking shelter under a bridge, and the decision was made to neutralise the stage. Some claimed that organisers threatened that further editions of Oman would not take place if the stage did not go ahead as planned. “It was the riders’ decision. If we didn’t stand up for ourselves, the stage would have gone on,” said Etixx-QuickStep’s Tom Boonen. 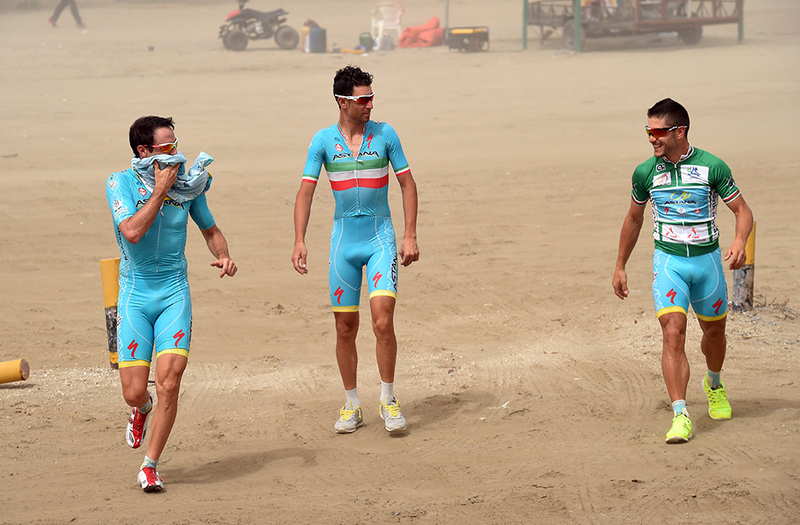 Astana riders in a sandstorm. However, BMC’s Tejay van Garderen, who sits second overall, said he was disappointed with the decision not to race. “From what I saw, it [the tyre problems] were all from the same team [said to be Bardiani-CSF]. This is not the first controversy in the race’s six-year history. The first ever stage of the race in 2010 was moved to an evening start time, before a laser and firework show along the city’s corniche delayed it even further. With only streetlights illuminating the course, riders neutralised all but the last two laps of the crit because of safety concerns. The following year, the opening stage was delayed as riders’ bikes did not turn up in time for the start, while in 2012, a two-hour boat transfer to the start of stage two in Sur proved extremely unpopular. Rafael Valls (Lampre-Merida) retains the overall lead going into Sunday’s final stage.